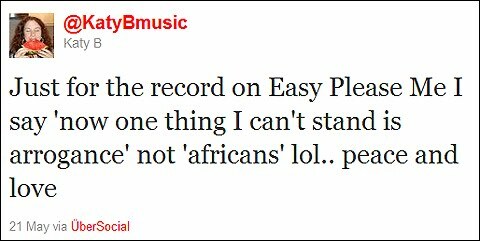 It seems that Katy B's new single Easy Please Me has caused some confusion. What would we do in a world without Twitter, eh? Here is the video for Easy Please Me. You will note the lack of racial tension.